Inflammation is a big deal. The more we research the effects of inflammation the more we realize how inflammation is one of the main unifying commonalities in most chronic disease; thyroid disease is certainly no exception. In the short term the inflammatory response is beneficial, it helps us deal with injury and infection. However, when inflammation becomes chronic it becomes a problem. The textbook characteristics of inflammation are redness, swelling, pain, heat and altered function. This list is great for medical students trying to prep for an exam, but this classical definition is slightly misleading. This is misleading because often times people are inflamed and have to idea, hidden inflammation. People usually recognize the symptoms that are a by-product of the inflammation, but fail to connect the fact that this hidden inflammation is causing their symptoms. The percentage of people who are inflamed can range from 12% in healthy to 80% in those considered ‘not healthy’ (overweight or have high blood pressure, etc…) It seems safe to say that 1 in 3 people are inflamed in the US population. 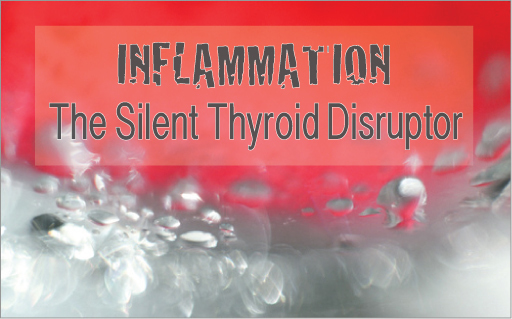 Inflammation has been correlated with a myriad of diseases and symptoms, but we will stay focused on thyroid. Before we dive into the red, hot, swollen world of inflammation and thyroid, one quick thought. 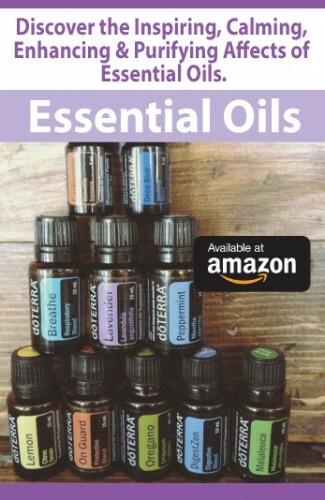 If you have any of the following it is highly likely you are inflamed; joint pain, muscle pain, any pain, gas, bloating, loose stools, depression, skin conditions, depression, headaches, get colds often, are overweight, have high blood pressure, smoke, eat junk food, drink excessively, there are more but this will give you an idea. The reason for this is because inflammation most frequently causes problems with; the conversion of T4 into T3 and/or elevations in rT3. Conventional testing usually misses these problems for two reasons. Firstly, conventional testing usually does not test for T3 or rT3 and secondly, the ranges used conventionally are generally too broad and don’t identify subtle changes in your thyroid hormone levels that could be having an impact. This all sounds good Dr. Ruscio, but I have been to the best endocrinologist in my area and they have never mentioned I am inflamed. This means I can skip this chapter right? Wrong, you cannot make this assumption. Why? Without going too far down the rabbit hole, this is again because you cannot assume a conventional screening will pick up all cases of inflammation. The standard marker for inflammation, CRP (C-reactive protein), is not always elevated in patients with inflammation. Additionally some medications can mask inflammation, causing whats known as a false negative; meaning you tested negative for inflammation but it was actually present. Statins, a family of cholesterol lowering drugs, are one example of this. There are numerous way in which inflammation can interfere with your thyroid; the peer reviewed medical literature suggest at least 7 pathways through which inflammation can inhibit your thyroid; lets look at a few. Inflammation can interfere with neurotransmitters (your happy mood & focus brain hormones) and properly levels of neurotransmitters are needed to stimulate TSH. This is likely one reason why thyroid patients have a higher incidence of depression. Said again simply, when the happy mood chemicals in your brain are off, your brain doesn’t make as much TSH and you can then become hypothyroid. This diagram will help you visualize what happens. Normally, your body will take dietary protein and break it down into amino acids. One of these amino acids is known as tryptophan. 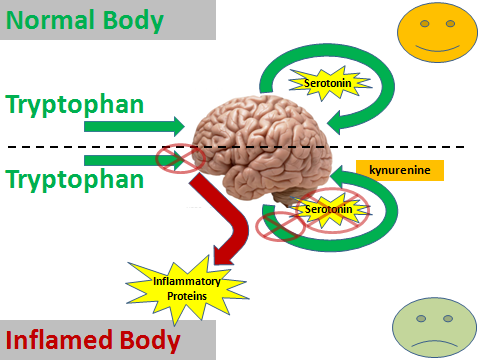 Tryptophan is then turned into your happy mood chemical known as serotonin (this is depicted by the top half of this diagram). But when high levels of inflammation are present you get robbed of your happy mood chemicals. Instead of making your happy mood serotonin, the body instead uses serotonin to make inflammatory proteins. This is known as the kynurenine pathway (this is depicted by the bottom half of this diagram). Hopefully this makes sense. If not there is another pathway that is slightly easier to understand. Inflammation will directly interfere with TSH secretion and can hence throw off your thyroid. Remember that TSH is secreted by the brain and tells your thyroid to work, so if this is off your thyroid function will certainly suffer. 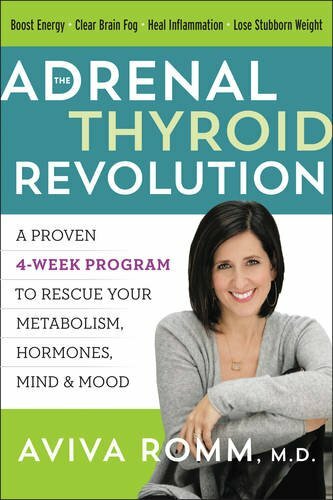 One of the most popular nutrients you will hear about regarding thyroid is iodine. 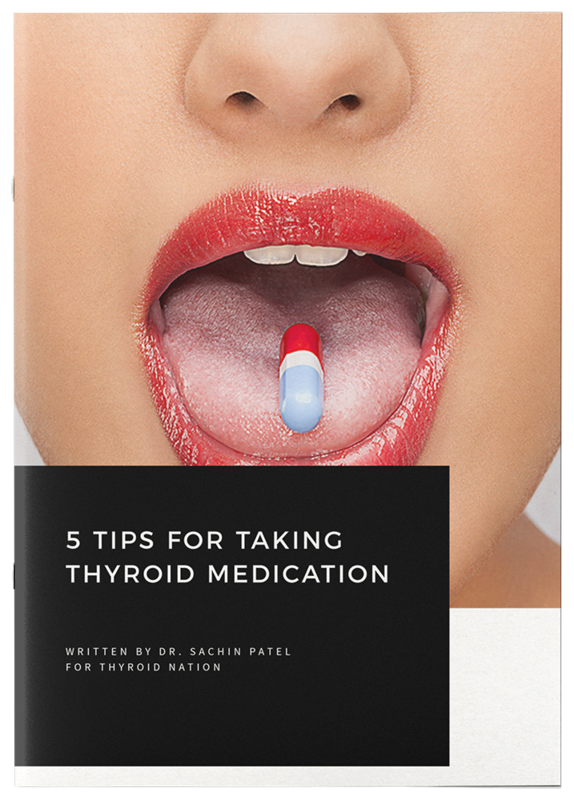 Some say you need iodine or will become hypothyroid, others say iodine can make your thyroid worse. We will discuss this further in later sections, but for now all you need to know is iodine can be helpful or hurtful depending on your situation. So you need to have iodine in the right balance. How does inflammation tie in? Inflammation can interfere with proper transportation of iodine into your thyroid gland. Inflammation interferes with the door needed for iodine to get into your thyroid known as the sodium-iodine symporter. When the function of this door is altered, it can make iodine damaging to your thyroid. Before anyone with thyroid autoimmunity supplements with iodine they need to make sure this door is working or they risk damaging their thyroid. Inflammation can inhibit conversion of T4 to T3, and inflammation can increase rT3, remember rT3 blocks your thyroid hormone from working. 17, 18 This is a very important issue. 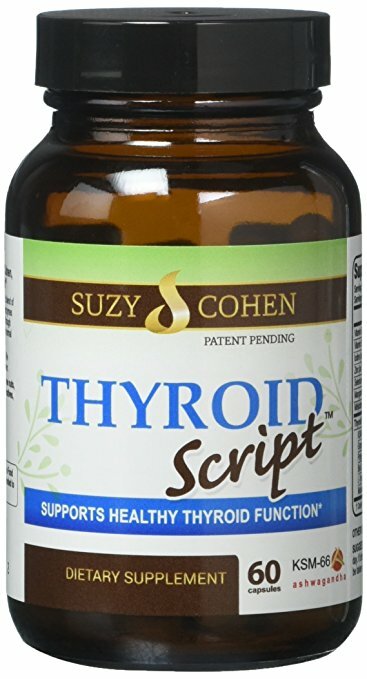 Remember that T4 has virtually no effect and that you must convert your T4 into T3 because T3 is what provides virtually all the positive effects we get from thyroid hormone. Think of it this way, T4 is like gasoline. If we fill your tank with gas but you could not ignite it, would that gas do you any good? Of course not. The same thing applies to your thyroid. If you have normal T4 but low T3 that is like having a tank full of gas with no ability to ignite it (spark plugs). This is one of the most common lab patterns I see with patients. They have been tested by their doctor for TSH and T4, their doctor said their tests looked normal and that everything was fine. When this patient ends up in our clinic we test TSH, T4 and T3. In many cases we find, yes TSH and T4 are in range, but T3 is low; full tank with no spark plugs. Usually when a patient is low in T3, they are also high in rT3. Inflammation will change the function of enzymes that help mold thyroid hormone creation and metabolism. 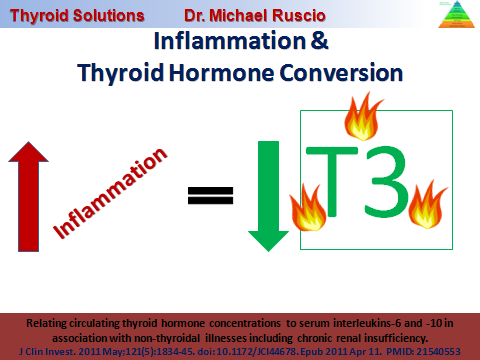 More specifically when inflammation is high the body will produce less T3 and more rT3. Remember that rT3 essentially blocks T3 from working. Here is the real world proof that inflammation is bad news for your thyroid. A study was published in the BMC of Endocrine Disorders medical journal in 2008. This study looked at 60 patients that had disorders that caused high levels of inflammation compared to 20 healthy controls. What they found was the higher inflammation was in these patients blood, they lower their T3 levels were. There is a graph from the study, IL-6 and IL-10 are two inflammatory proteins and of course on the other axis you will see our beloved T3. Each dot on the graph represents a patient and the lines show the trends between all the patients’ levels of inflammation (IL-6 & 10) and their T3 levels. Again the trend line shows that as inflammation goes up T3 levels go down. Interestingly some studies have shown that antioxidants can undo some of the thyroid problems caused by inflammation. Are you sure Dr. Ruscio? Maybe people who have autoimmunity are ill and that is what’s inhibiting their thyroid function and the inflammation is just an innocent bystander? That is a fair question. Three studies have been done in which healthy patients were injected with inflammatory compounds, all of these studies showed various forms of thyroid inhibition after injection of inflammatory compounds. Whew, OK Dr. Ruscio you are making a strong case for the negative effects of inflammation on my thyroid. Great, but hang in there we are not done yet. As if all this wasn’t enough, inflammation can directly provoke thyroid autoimmunity (hashimoto’s, Graves). We have already discussed how certain factors that cause inflammation are known to also provoke autoimmunity; food allergies, intestinal inflammation and infections. It has also been documented that deficiencies in certain anti-inflammatory nutrients like vitamin D and fish oil are correlated with increased risk for autoimmunity. We also know that supplementing with certain anti-inflammatory nutrients (vitamin D, fish oil, antioxidant) and taking certain anti-inflammatory drugs are helpful with autoimmunity. What is the connection? In the chapter on autoimmunity we discussed the concept of the immune system being over stimulated to ‘attack’ and how this is a major factor in autoimmunity. Well, inflammation is the attack signal for your immune system. Specifically things known as cytokines, like the IL-6 and 10 we discussed earlier, tell your immune system to attack in a variety of ways. We just covered a lot. To bring us back to the big picture remember one thing; decreasing levels of inflammation in your body will be helpful in managing almost any thyroid condition. Also remember inflammation and the immune system are intimately linked. And one final reminder, while yes in some cases thyroid medications will be needed, thyroid medication will not treat the causes of inflammation; the source of the inflammation must be determined and addressed, for you to regain optimal thyroid function. 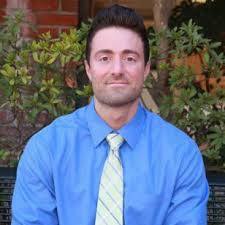 Michael Ruscio , DC, currently specializes in Functional Medicine. He has performed extensive post-doctoral Functional Medicine study with educational bodies such as; The Institute of Functional Medicine, The American Academy of Anti-Aging Medicine, Kalish Research and Defeat Autism Now. Dr. Ruscio obtained his Doctorate of Chiropractic from Life Chiropractic College West. Before that Dr. Ruscio obtained his B.S. in Exercise Science from the University of Massachusetts at Amherst. Check out his office and website, follow him on Facebook and Twitter. 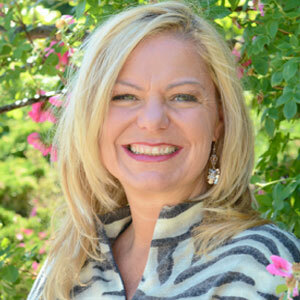 Questions or anything to ask Dr. Ruscio about inflammation? We want your thoughts in the comments section–Please! How do we get tested for inflammation? What exactly should we tell our doctor? Also what medication is recommended?